Examples of how the mind affects physical health. Why it is important to address mental stress in caring for one’s physical health. 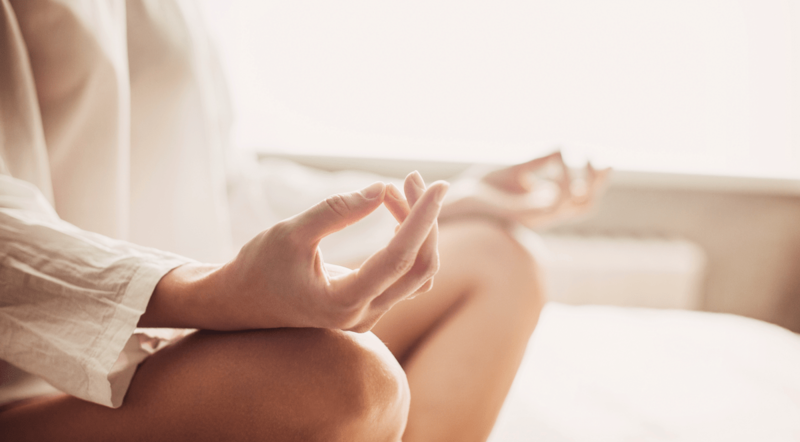 How meditation and self-hypnosis may affect one’s physical and mental health. How meditation and hypnosis may help patients improve their ability to manage stress. How meditation and hypnosis may help patients improve their quality of sleep. How meditation and hypnosis may help patients improve their mental energy and ability to concentrate. How clinicians can get patients started on meditation and hypnosis. How else clinicians can encourage patients to be healthier, both physically and mentally. How clinicians can help their patients reduce the fear of going to the doctor. How a lack of social support affects one’s immunity, and how it can be boosted. A couple minutes before 3:00pm ET on October 11, Search Twitter (top right of every Twitter page) for #PWChat. While you’re at it, be sure to follow @physicianswkly and @DrBarbaraCox! Barbara Cox, PhD, is a consultant and coach for innovative leaders and businesses, whose advice has been featured in local and national publications, including MSN.com and Cosmopolitan. She specializes in helping innovative leaders and organizations through her classes, trainings, and personalized sessions that blend positive psychology coaching and peak performance hypnosis. She also writes fiction and non-fiction stories with the themes of individual empowerment, community-building, and personal awakening. Barbara started her career as a scientist, having earned a B.A. in Biology from the University of California, San Diego. She worked as an environmental scientist, most notably organizing environmental projects for the Department of Defense (DOD). During her time in this role, she coordinated permits, wrote environmental articles, coordinated with base media to spread the word on new environmental projects, and ran community focus groups. From there, she branched out into working for environmental consulting firms. “I loved managing large-scale projects; however, I wanted to get involved in more ‘people’ work,” she says, “so I went on to receive a doctorate in health psychology from Alliant International University (AIU), with further training in hypnosis and peak performance coaching.” Eventually, Barbara ventured forth to study more esoteric subjects, such as Qi Gong and to look at the larger meaning of life, beyond left-brained science. She enjoys working with clients who consider themselves grounded, logical intellectuals, yet are open to explore their ‘right-brain’ side to bring out their innovation, creativity, and business vision. Barbara uses a holistic, integrated approach that incorporates both traditional goal-setting techniques, as well as alternative techniques such as meditation, NLP, Qi Gong, and hypnosis to help leaders and organizations reach their target goals more quickly.